I will keep trying!!! This is not good! Cute card. I like the squirrel running down the tree trunk. Oh, this is DARLING! 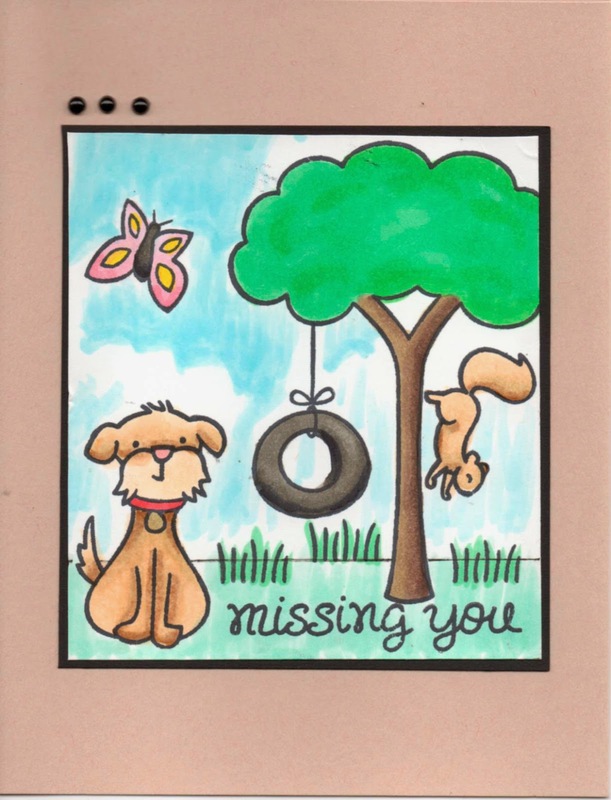 Look how sweet your doggie is, but all alone :( even with a crazy squirrel and happy fluttering butterfly! Great to add the tire swing and tree but your cloudy background = amazing!!! !